Fiber-optic architecture supports up to 300 meters signal transmission from the sources to Digicom® Ark3000 series and another 300 meters from the processor to video walls. It also supports hardwired real-time signal sharing among several Digicom® Ark3000 processors of which the distance is up to 300 meters. High image quality and security are assured. 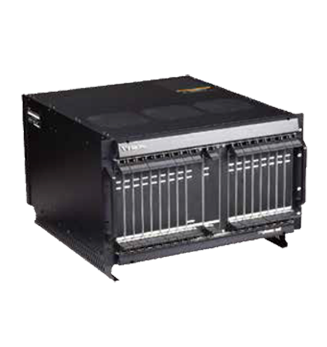 With Digicom® SMA3100, Digicom® Ark3000 series can be upgraded to a hybrid processing system which supports both hardwired real-time signal output and IP signal output (to other processors/ decoders in the same network). Digicom® Ark3000 series meets different applications when it works with Digicom® Magic processors. All functional modules possess their own resources independently. It allows multiple Windows® based desktops on client PCs to be captured via LAN and displayed on the display wall. The proprietary screen captured algorithm provides high speed and high performance capturing of desktop images. Its performance is several times higher than other 3rd party screen captured software. The screen captured by VLinkExpress can be resized, moved or opened/ closed on the VWAS/VCMS/VEMS. The content of captured screen can be accessed by using mouse and keyboard. It provides a virtual platform for running customer's super high resolution application, mapping pixel-to-pixel of the application and projecting super high resolution image to large video wall via VLinkExpress. Many times higher performance than any conventional graphic card output. High performance processing algorithm and less loading to the CPU of video wall processor. 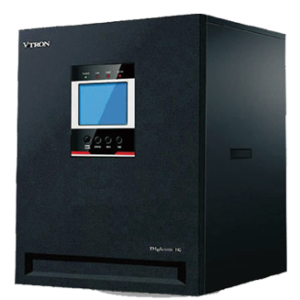 VTRON’s Digicom® HC5000 is a hardware-based video wall processor series integrated with RIET technology to achieve stable and high-performance image processing. In additional, separated video walls can be driven by one set of Digicom® HC50001 simultaneously. Digicom® HC5000 is ideal to fulfil the demanding 24/7 visualisation needs in control and command centres, data centres and operations monitoring centres.